Basha accused the PM by saying that “the man who brought criminals in the government and parliament to defend his criminal affairs, who destroyed the justice system and Albanian police is the man responsible for the most serious incident involving national security". According to Basha, fact that the army is now in charge of airport security "clearly proves that the state has surrendered in front of criminals"
Basha also said that the latest government actions are "nothing short of a coup d'etat" . "The Chinese company that acquired the airport from the previous company failed the same way in guaranteeing security.The Albanian state will accept no excuses from this company and will take airport security under its control" , Rama said. The minister did not mention any responsibility by police in guaranteeing security in the airport's territory. Lleshaj accused TIA of not notifying police on the event. However, TIA rejected this accusation by saying that it has "fully complied with procedures, including the notification of Rinas Police" . 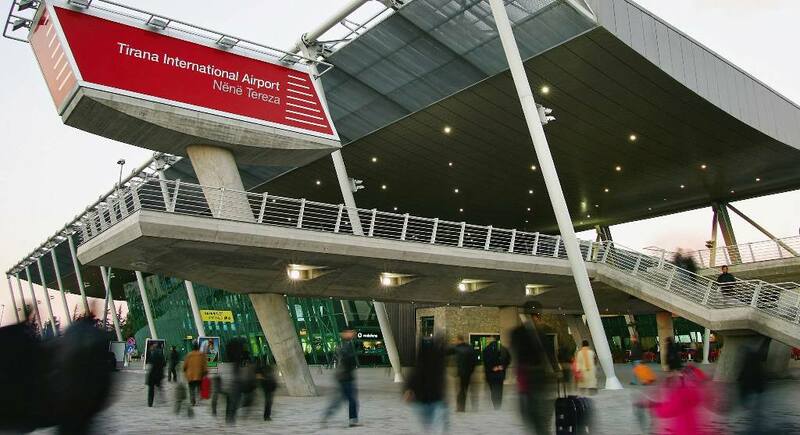 Tirana International Airport (TIA) expresses its deepest regret for the events of yesterday, 9 April, 2019, in which a large quantity of money was stolen while on the Airport's apron. The Airport notes with great concern the official statement of the Ministry of Interior, in which it seems that TIA's ethics have been criticised, for a second time, to misinform the public. Once again it is being blamed for such events, a heavy charge that ought not rest on the shoulders of a foreign concessionaire, which rejects charges of lack of responsibility for airport security.